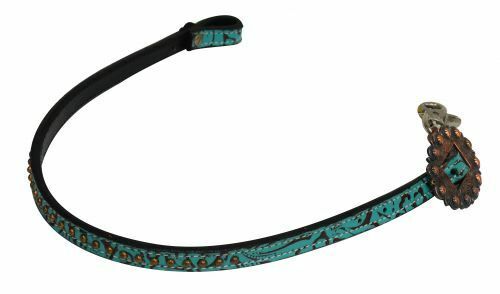 Home / Martingales, Tie Downs, Nosebands & Wither Straps / Showman ® Copper studded filigree print wither strap with silver studs and engraved brushed copper buckle. 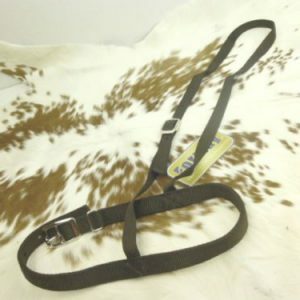 Showman ® Copper studded filigree print wither strap with silver studs and engraved brushed copper buckle. 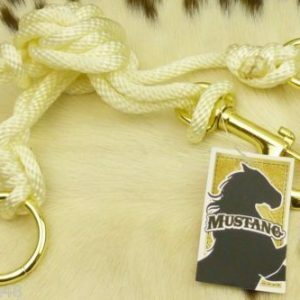 Attach onto breast collar with concho end and single scissor snap end. 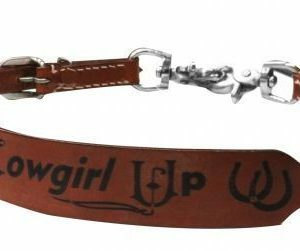 Easily adjusts 27″ to 24″ with a large engraved brushed copper buckle.